I like to do some beading work once in a while (when my mood is on beading). 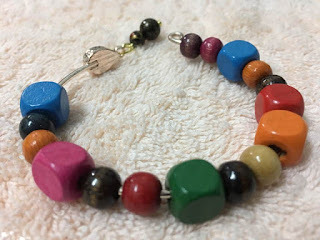 This is one of the wood beads bangle that I did. I simply used a larger size wire bangle, some colourful wooden beads and a jump ring. The tools that I used are a pair of round nose pliers and bent nose pliers to connect the jump ring and bent to close up the bangle. Good idea! Your beading work is wonderful! 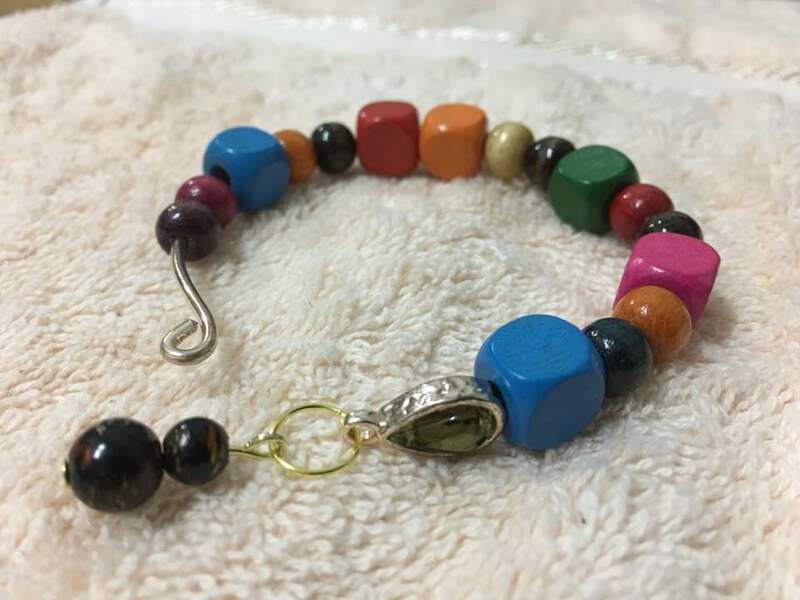 I like each bead has a different color and the size is also different. So pretty.